Looking for an SEO company offering expert SEO services to get your website onto Page 1 of Google? You’ve come to the right place! We’ve already done exactly that for more than 100 companies in Ireland and the UK. We can do the same for you too. Partner with us, and we’ll identify the correct SEO strategy for you. Then we’ll get to work on making things happen. FREE SEO audit and Market Research (worth €200) when you request a quote for SEO services. The SEO audit will identify the problems with your site, that are keeping its rankings down. Our market research will identify how many searches there are each month for your products and/or services. We may also discover new potential online markets that you may have previously missed. No fixed term contract. We do ask that you give us at least three months to start delivering you best results. But if you see an immediate jump in your rankings, and you’re happy with that, then you’re free to walk away even then. We do all the work in-house. No overseas outsourcing. Detailed monthly reporting. We’ll tell you what we’ve done, how it’s worked, and what we plan to do in the coming month too. Results! Remember, we’ve already helped more than 100 companies onto Page 1 of Google, across a huge range of business sectors. Let us do the same for you! Our SEO services have three fundamental steps – analysis, action and results. By analysing what your website is currently doing, and what it needs to do better, we formulate an action plan to get it higher in the rankings – and to keep it there. We begin with in-depth analysis on your site, and competing websites too. This identifies strengths, weaknesses, opportunities, and threats. Discovery – We’ll find the most relevant keywords for attracting traffic from your target audience. This will be a combination of ‘short tail’ and ‘long tail’ keywords, and variations like singular, plural, and synonyms. We will also analyse how often these keywords are being searched for each month. 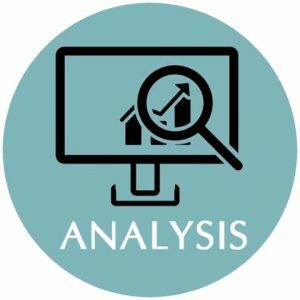 ROI analysis – This is where we’ll decide the most valuable keywords for your website. Generic keywords may be the most widely searched, but they are also the most competitive. Another problem is they generally bring only mediocre conversion rates. Phrases that more accurately describe the specific qualities of your site will bring a higher ROI. Competitive analysis – We also analyse how your competitors fare for any given keywords, and what they are doing to get those rankings. This provides a clearer picture of how taking action for those keywords is likely to benefit your site. It can also show how dynamic your competitors are with regard to optimisation issues. Content review – You’ve often heard it said that ‘content is king’, and today, that’s more important than ever. Content Marketing dovetails nicely with SEO here as we conduct a thorough review of all content on your site. We identify what we should revise, what we should add or remove, and then do that necessary work. On-page SEO – We continue to work directly on your website content, now from a more technical point of view. We address any issues with title and meta tags, internal links, URL framing, etc. Web page optimisation – We conduct a thorough analysis of your website and server to identify other issues that may be lowering your ranking. This includes conformity checks and other checks on domain usage, page structures, link structures, load balancing, load speed, and more. Search engine mark-up optimisation – We analyse the source code of your website. If necessary, we amend it so that search engines will understand it properly. Off-page SEO – Once your on-page content has been optimised, we upload it, and submit your website to the major search engines and directories. Other elements of off-page SEO include social media activity, blog content writing, and submission to approved third parties. Now we get to the good part – the results! All our work will bring the changes we all want, and we’ll soon see your website making its way up the rankings. Sometimes there’s a dramatic improvement in just a short space of time. Sometimes, in more competitive fields, the results can take longer. But we guarantee to get you results no matter what, and to then keep working to make those results even better. Remember, we ask that you give us at least three months, so that we can begin to deliver the best results possible. But if you see an immediate jump and you’re happy with that, you can walk away soon as you like. We won’t tie you in to a long-term contract that you don’t want. We’ve delivered great results for more than 100 clients already. Give us the opportunity to do the same for you! Join over 100 clients on Page 1 and get your FREE SEO audit worth €200 and SEO Services quote.